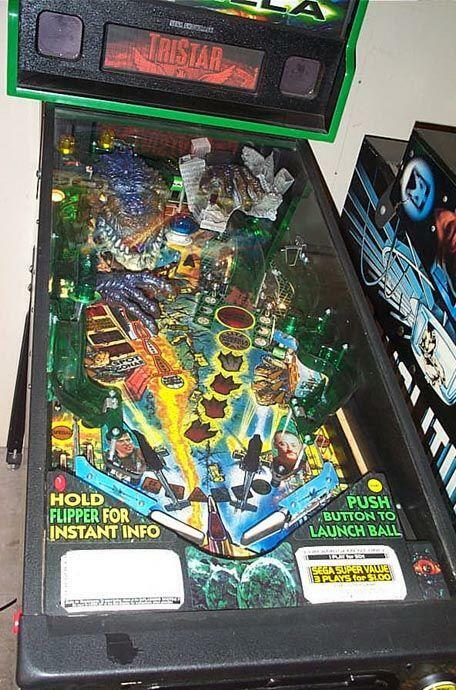 Description: Description: Godzilla, Sega, 8/98, Multiball and has speech. Ball Diverter drops ball out of Godzilla's Mouth, has four magnets under playfield, Shaker Motor. Godzilla monster on the playfield.